Running an effective meeting requires planning and preparation. Following on from our previous post ‘How to run an effective meeting’ we’ve created a meeting agenda template that you can download, fill-in and distribute to your meeting attendees. 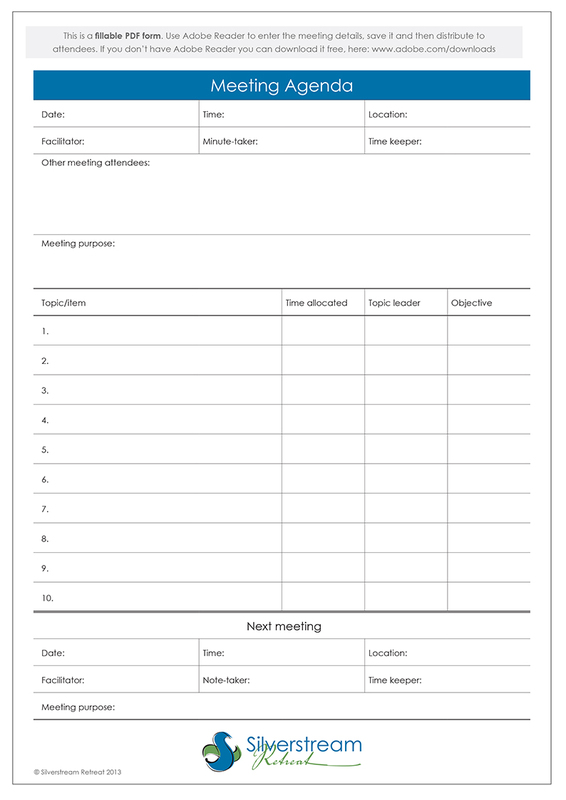 Download our Fillable Meeting Agenda Template here.